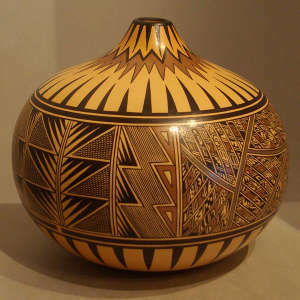 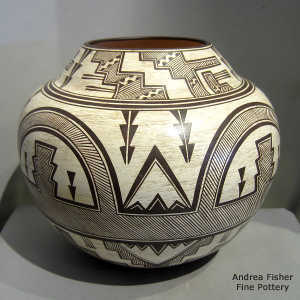 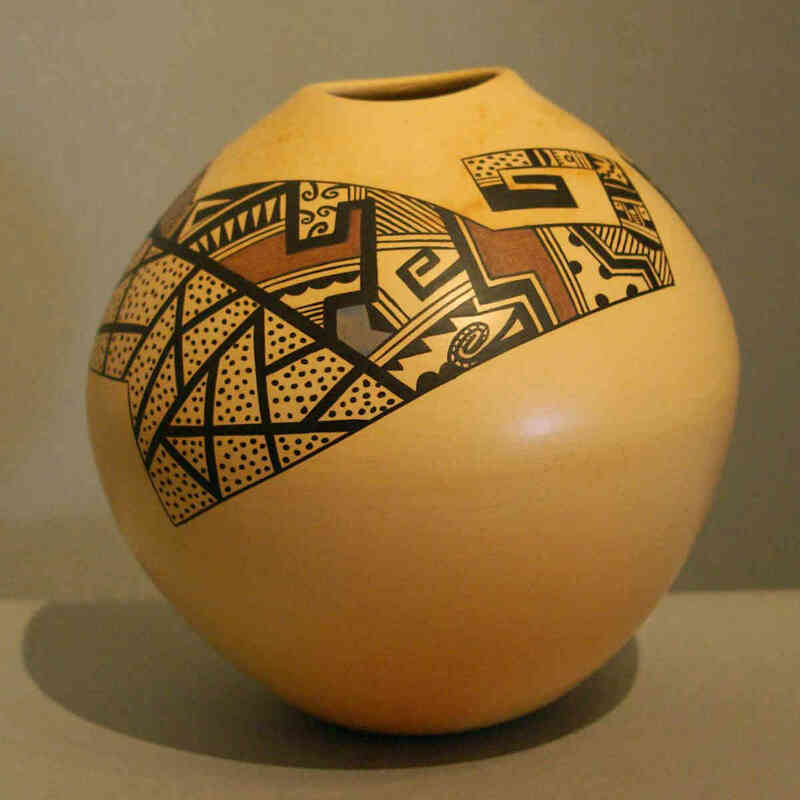 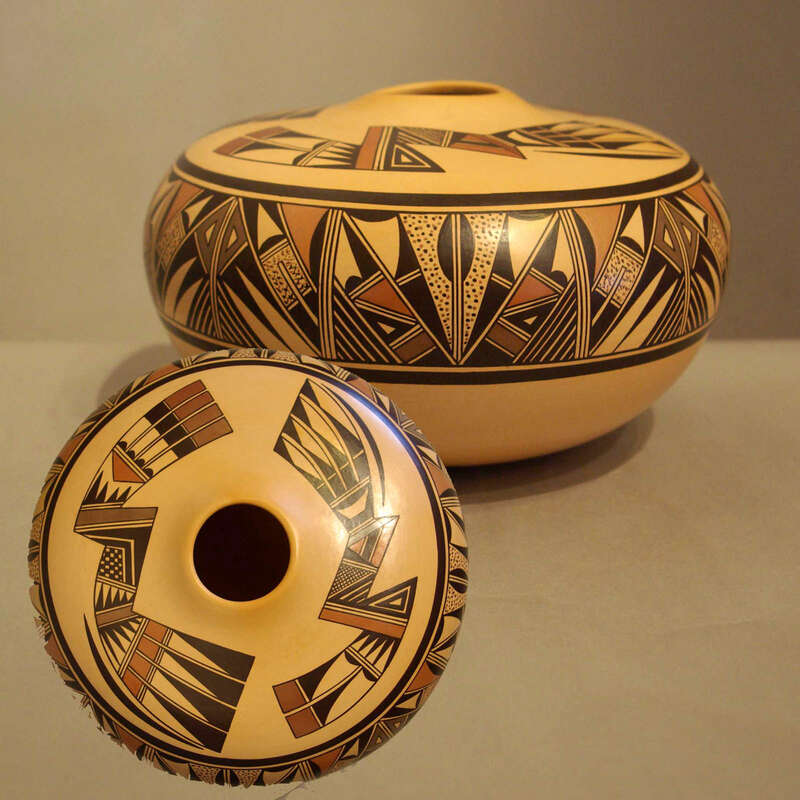 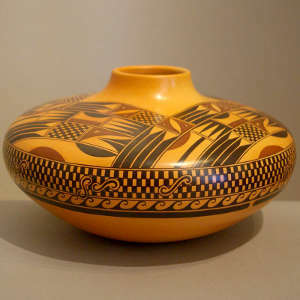 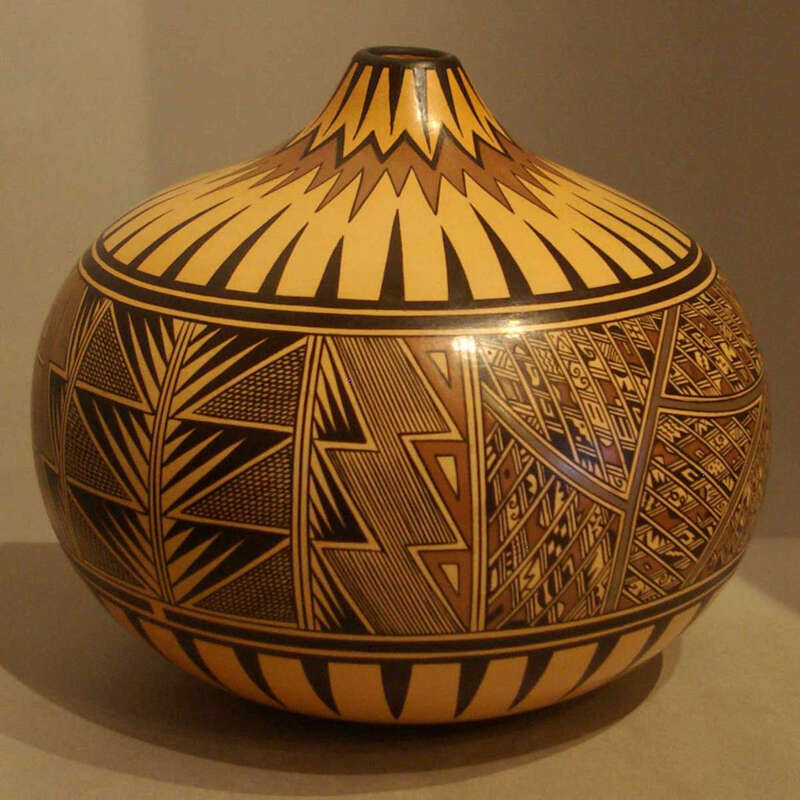 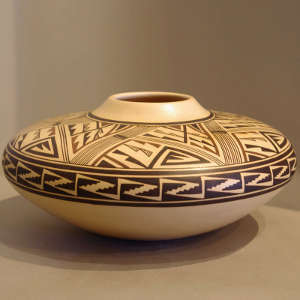 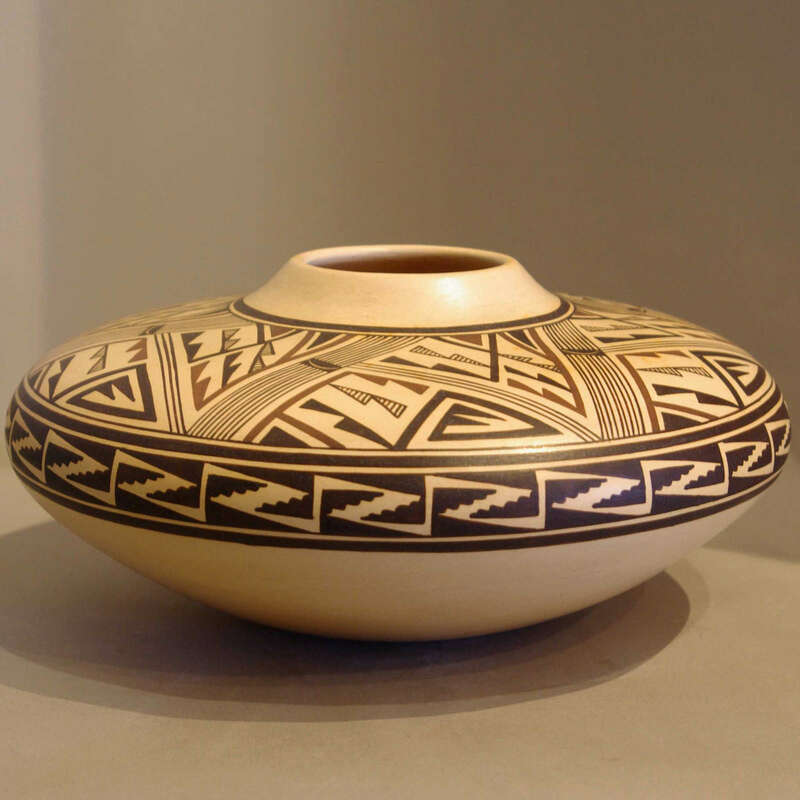 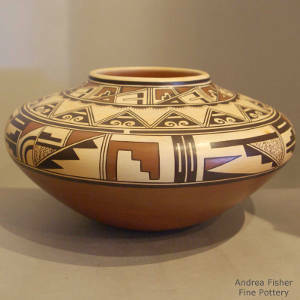 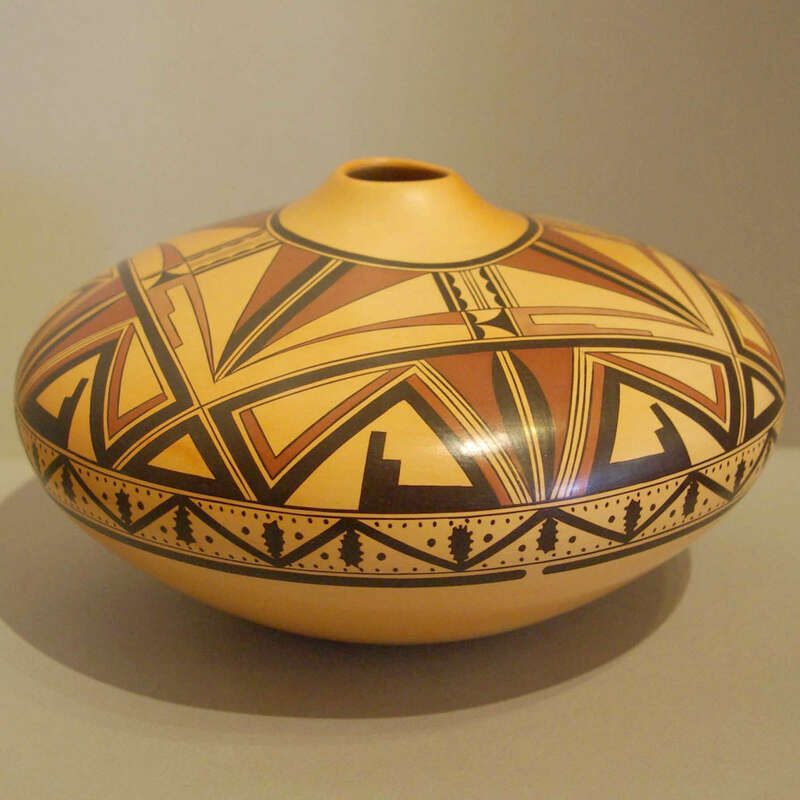 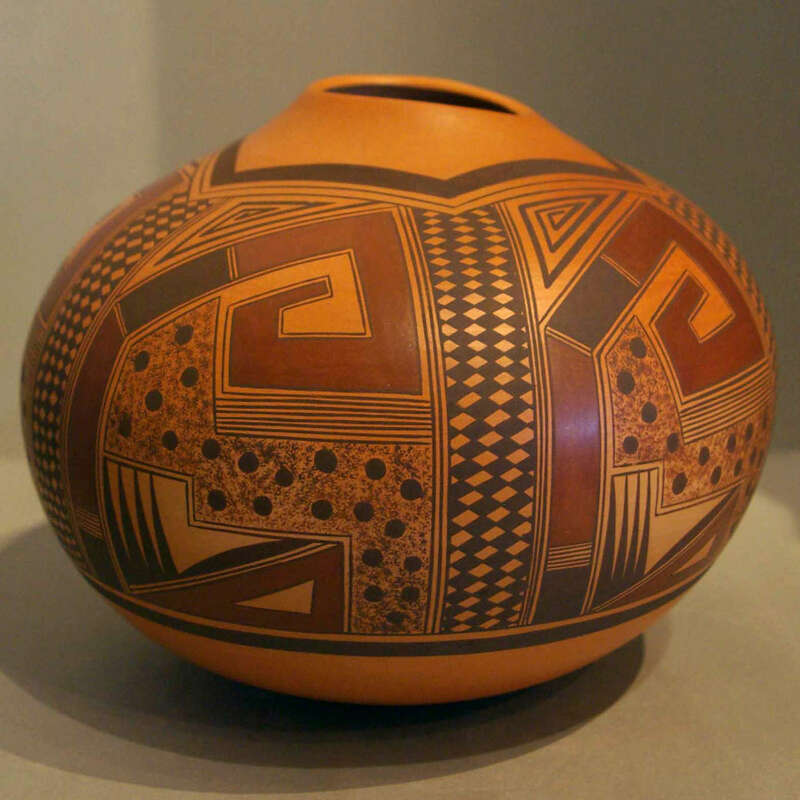 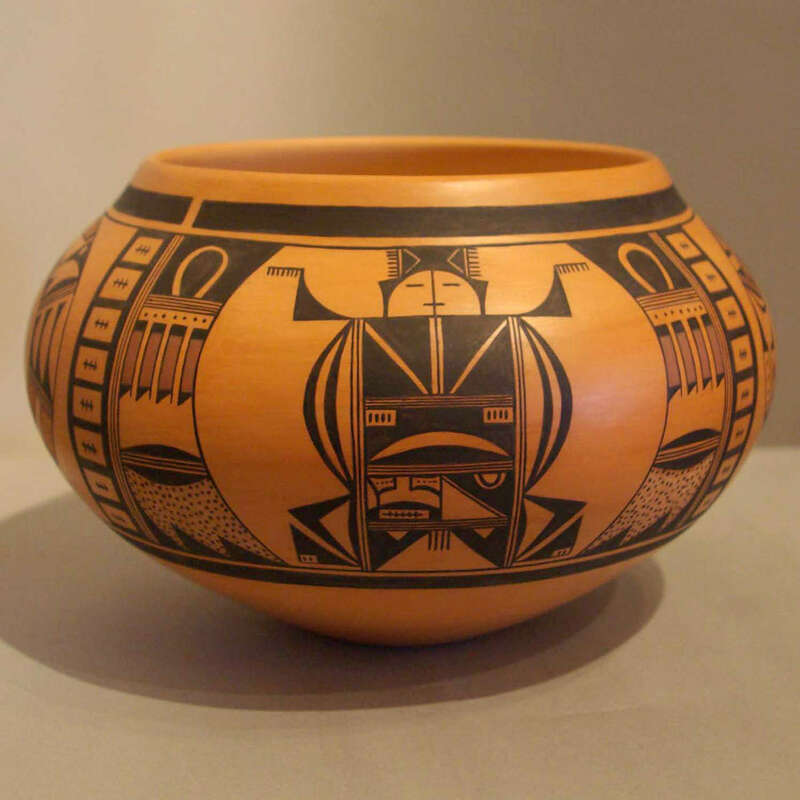 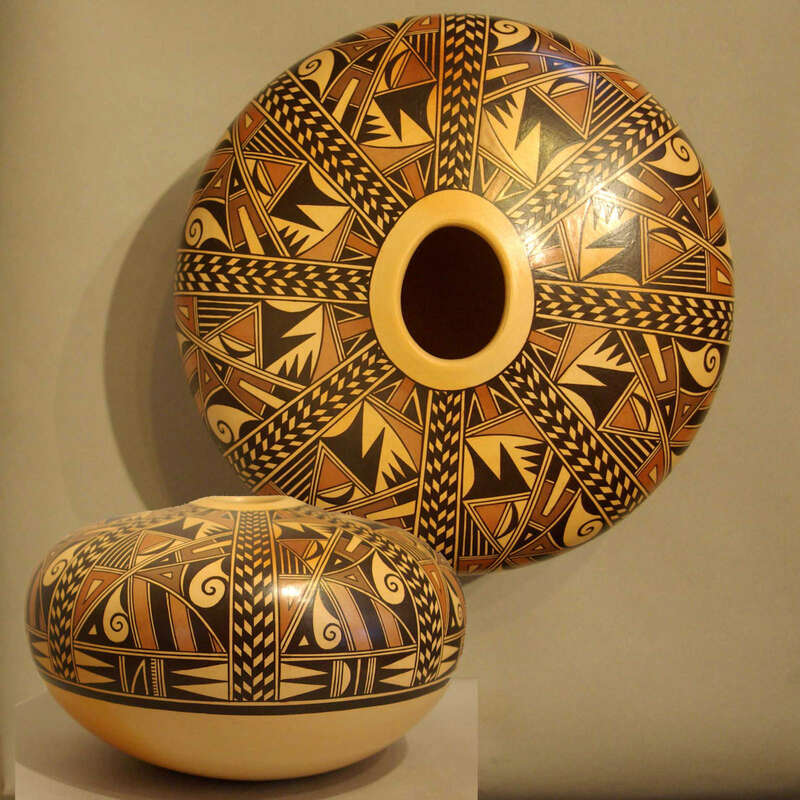 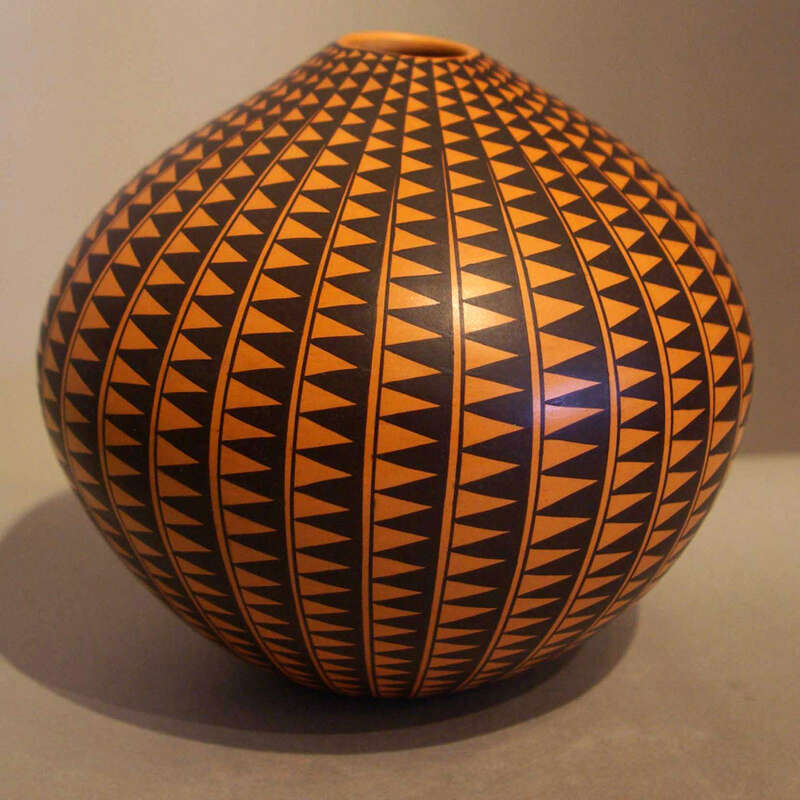 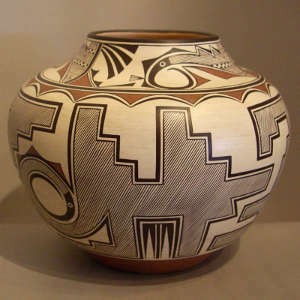 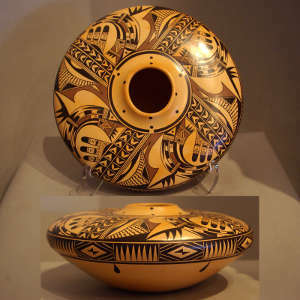 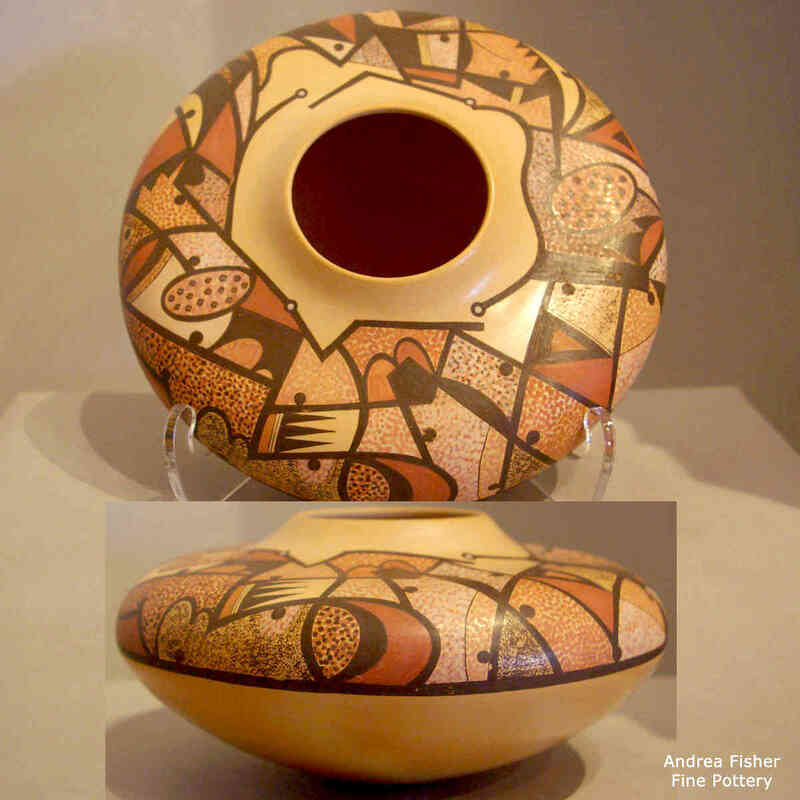 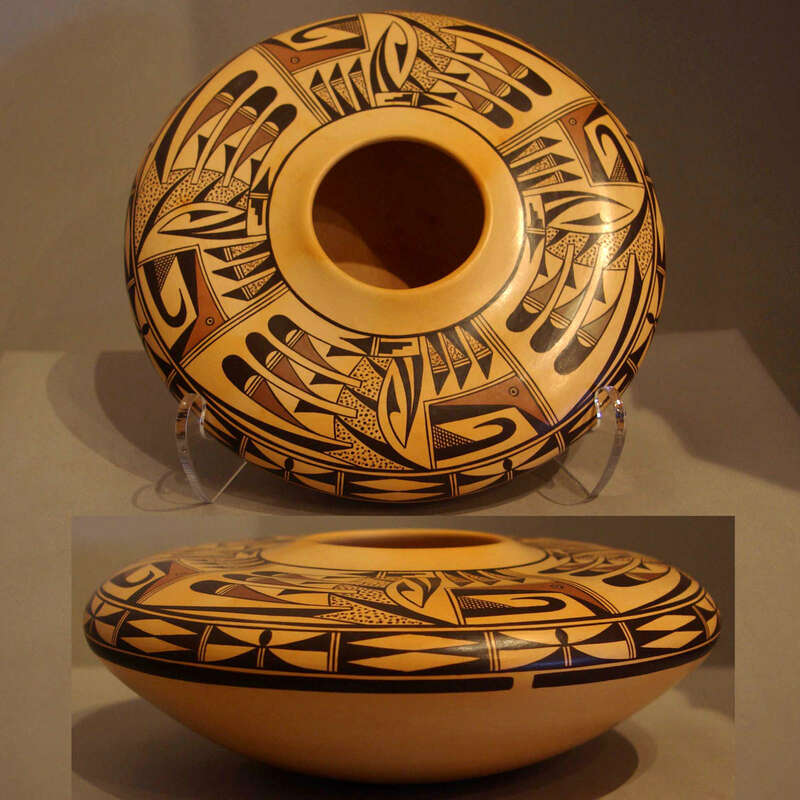 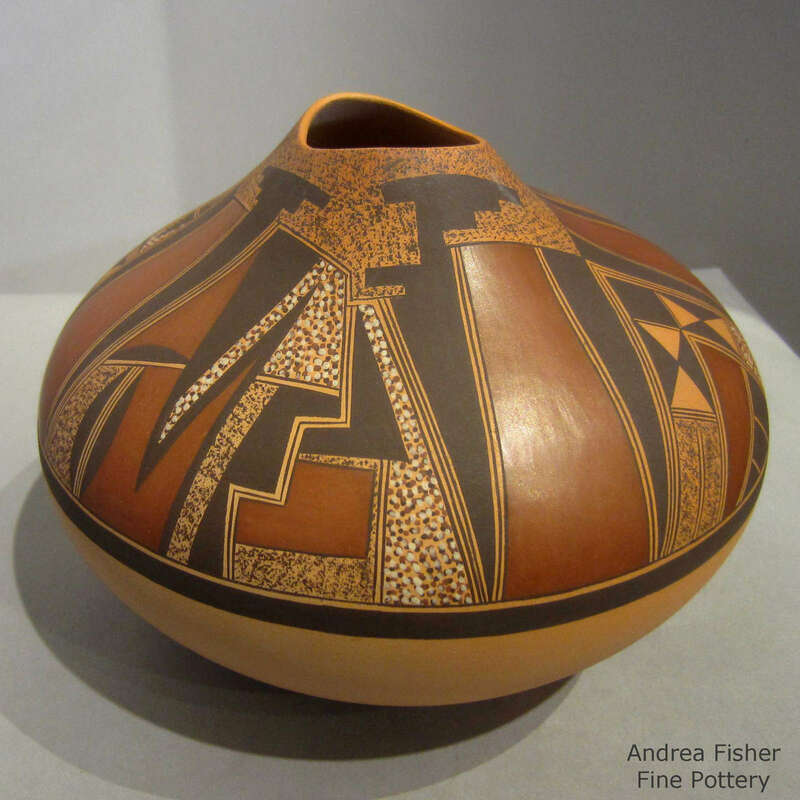 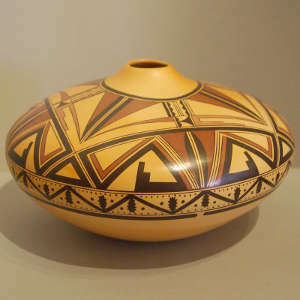 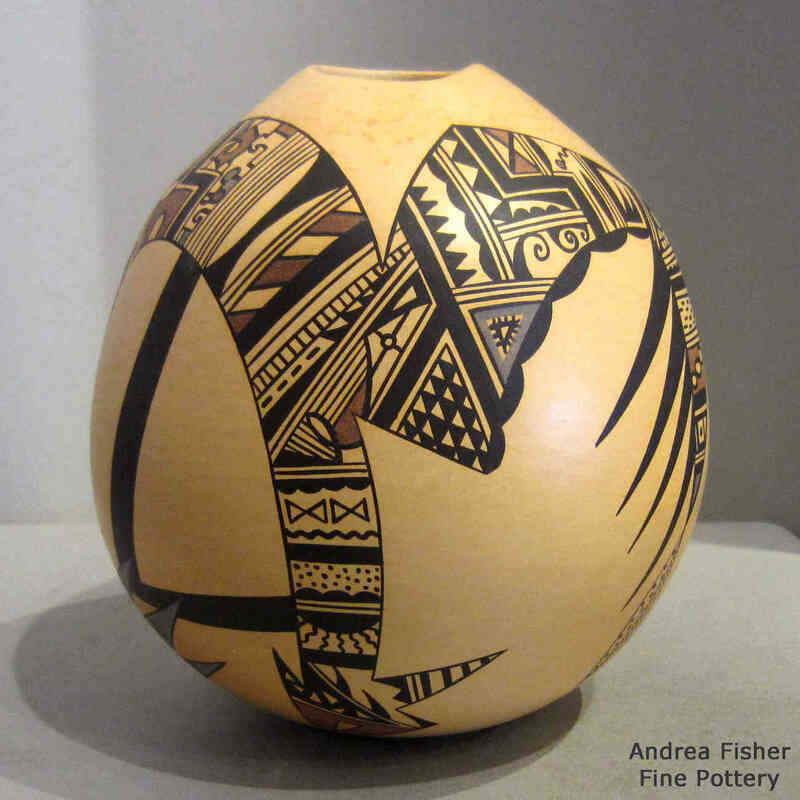 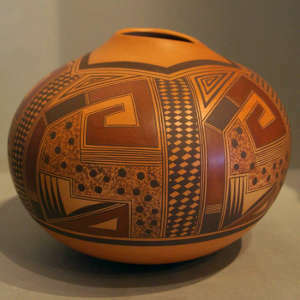 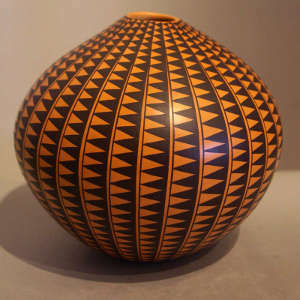 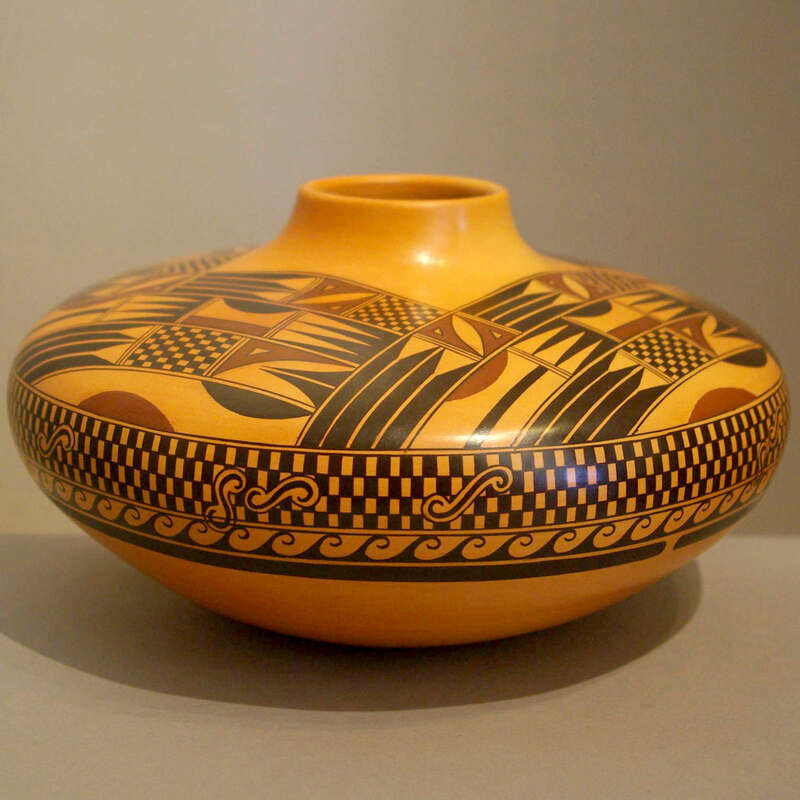 Les Namingha credits his aunt, Dextra Quotskuyva Nampeyo, with guiding him through the learning journey into becoming a traditional Hopi potter. 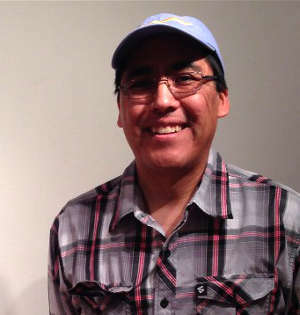 He was born on Zuni Pueblo in 1968 to Irene Vicenti, his Zuni mother, and Emerson Namingha, his Hopi-Tewa father. 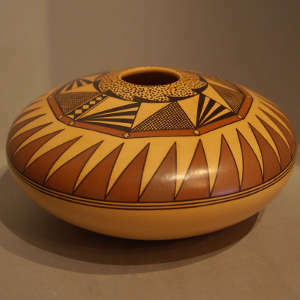 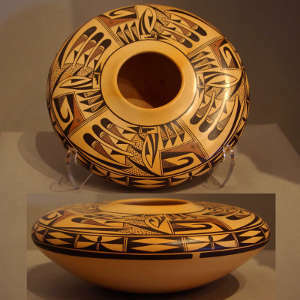 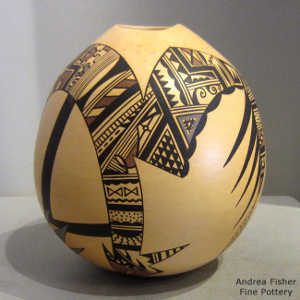 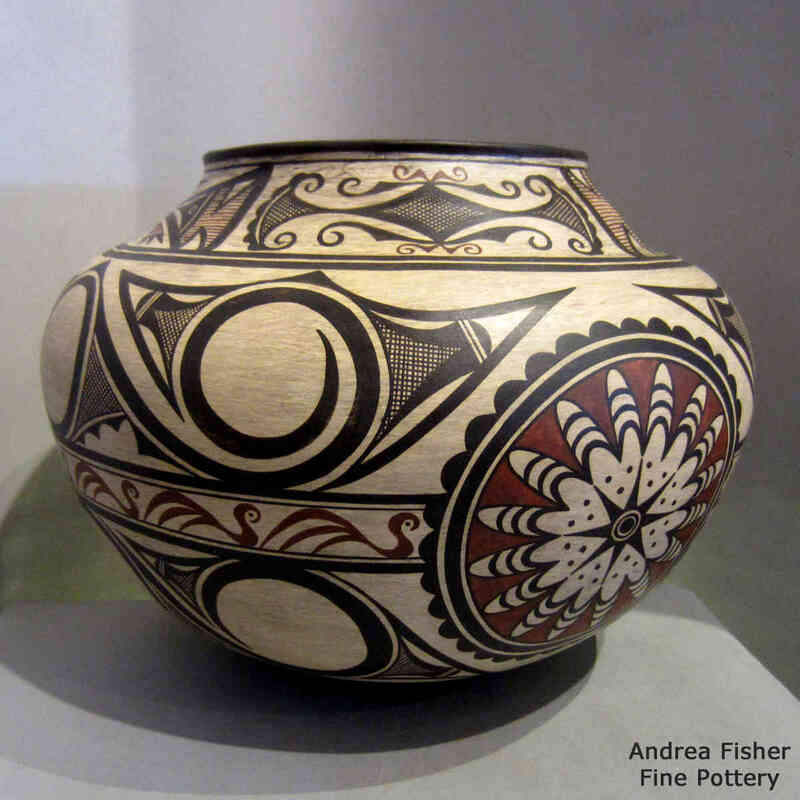 He was really interested in art, painting and design growing up but in 1989 he and his cousin Steve Lucas began their pottery studies under Aunt Dextra. 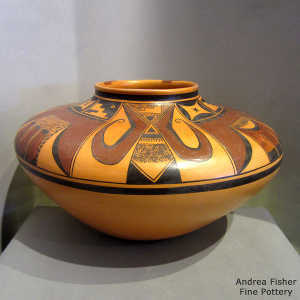 Through that hands-on experience and with Dextra's patience in teaching both became exceptional potters.